'Breaking' Presents Juliana "Jewels" Smith, Educator Turned Comic Book Writer. CUNY TV Independent Sources. | An interview with (H)afrocentric at 17 minutes in. 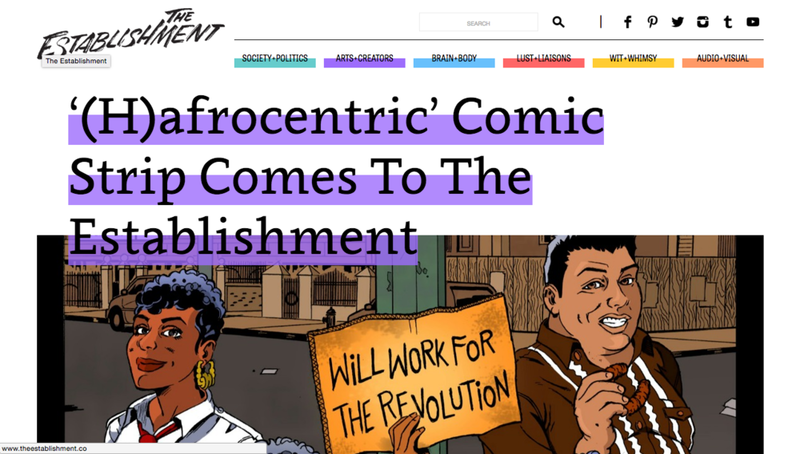 Read Juliana Smith's Dope '(H)afrocentric'"A Feminist Version of the Boondocks"